Ask if the doctor thinks that being on a benefit is an addiction and that work is the cure. If they say “yes” and this is a new doctor, then you need another doctor! But if you need a Work Capacity Certificate, and the doctor has signed your certificates before, you might need to keep the same one. Otherwise WINZ might send you to a designated doctor. Dr David Bratt, WINZ’s Principal Medical Advisor, is spreading false ideas about “benefit addiction”. There is no sound evidence for it, and it has been discredited in the UK. Let your doctor know this; and remind him or her that their first duty is towards your health, and to do you no harm. If you need a Supported Living Payment, your doctor needs to verify that your illness or disability will last for more than two years; unless you are blind or are expected to die within two years. If you are sick or disabled, but are on Job Seeker Support, make sure your doctor helps you to get enough time off work. This might mean that you should do no work, or only the hours that suit you. Make sure your doctor understands how sick you are. Write down all your symptoms beforehand. Ask to see a second doctor you have chosen yourself, who has expertise about your condition. If WINZ rejects your choice, ask for a large list of designated doctors to choose from. Insist that the doctor has qualifications that match your condition. Do not take the first doctor that WINZ suggests! Do not take a doctor because they are the closest! Do not take a doctor because WINZ offers you free transport there! Get some information about the doctors and their reputations before choosing. Unite Waitemata will help you! Take a witness or support person! This is very important!!! 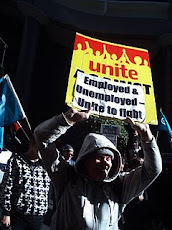 The witness could be a friend, family member, advocate or somebody from Unite Waitemata. Take written notes or record the session on your phone, digital recorder, or tape recorder. You or your witness can do this. Note how long the interview lasts. Your designated doctor should treat you with respect. They should explain the purpose of the interview and what will happen. They should ask for your consent to proceed. They should ask you and give you time to explain your own view of how you are affected by your condition. They should have enough information and expertise to make an assessment. Ask if they have read the reports from your doctor and your other specialists. Ask what their expertise is about your illness or disability. If the doctor does not have enough evidence or skill to make an assessment, they should not make it. If the doctor does not follow correct procedure, they may breach the Code of Health and Disability Services Consumers’ Rights. You can complain to the Health and Disability Commissioner about breaches of procedure. Your designated doctor has been trained by WINZ to believe that being on a benefit is an addiction. 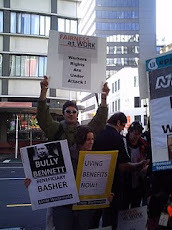 She or he is being paid by WINZ. So they are not independent. However they must follow medical ethics. If a doctor says you are fit to work, and this risks harming your heath, then your doctor has breached medical ethics. You could complain to the Medical Council about breaches of medical ethics. You can make a complaint to WINZ about the doctor’s behaviour. · You can apply in writing for a Medical Appeal of any decision made by WINZ regarding your health or disability. · You can apply for a Medical Appeal of any WINZ decision based on a designated doctor’s advice. If the doctor did not have sufficient information or expertise, or if their decision could harm your health, these are grounds for appeal. · You can also apply for a Medical Appeal of any WINZ decision based on the advice of Regional Health Advisors, and Regional Disability Advisors. These advisors lack the expertise to assess complex medical cases. Many are nurses, teachers and social workers. There are no doctors or psychiatrists. · Ask WINZ about the qualifications of the person who advised on your case. What to do at a Medical Appeals Board. Since Medical Appeals Board members are paid by WINZ they are not independent. Some of them are designated doctors. Ask that the Board members have expertise in your illness or disability. Bring as much evidence as you can from supporting medical professionals. Take a witness, support person or Unite Waitemata member. If your case goes to the High Court, we will help you find a good, cheap or free lawyer. Another option is to hold a protest at WINZ and publicise your case. Sometimes direct action wins when other channels don’t. 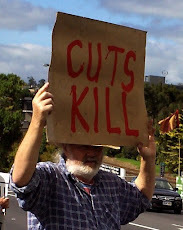 Why is WINZ Ignoring our Health Needs? WINZ is targeting the sick and disabled, and single parents, as we are their biggest expense. It plans to save one and a half billion dollars by getting us off benefits. 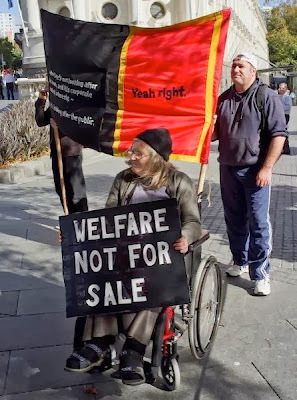 WINZ wants to make the sick and disabled compete for scarce jobs, or even work for nothing in “job training” schemes - so employers can bring down wages and conditions, and increase their profits. WINZ is offering thousands of dollars to private contractors to help make this happen. This is an attack upon workers as well as beneficiaries! We all need to Unite! against these attacks ! Join your Union! 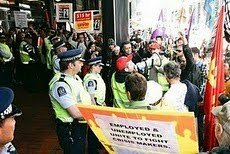 Join Unite Waitemata! 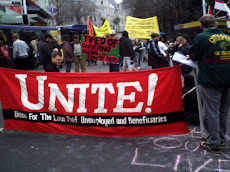 Unite Waitemata is a branch of the Unite! Union. 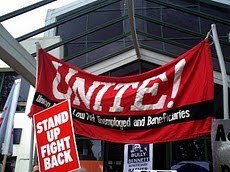 Unite is a union for low paid workers, unemployed and beneficiaries. We will attend WINZ appointments, designated doctor appointments, and Medical Appeals Board Hearings with you. We are protesting the welfare changes and we will let people know what is happening! We will organise a protest about what is happening to you and others like you. Tell us your stories! Get involved! Together we are strong! Issued by Unite Waitemata 0272800080; (09) 8369104.